It is the first counting device, developed by Chinese and Egyptians, 2500 years ago. 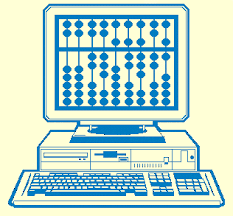 It performs mathematical concepts and arithmetical operations. It is a rectangular box, divided into two parts by mid bar , upper part is called heaven, consists of two beads and each bead equal to value 5 and lower part is called earth, consists of five bead and each bead equals to value 1. While calculating, beads are brought near to the mid bar. Another interesting invention is Napier's bones, a clever multiplication tool invented in 1614 by mathematician John Napier of Scotland. The bones are a set of vertical rectangular rods, each one divided into 10 squares. John Napier is also the inventor of logarithms, a concept used to change multiplication into addition. Napier's bones were very successful and were widely used in Europe until mid-1960's. It is mainly used for multiplication table. Blaise Pascal had a father who was an overworked and harassed tax commissioner. 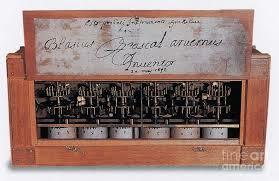 The young Pascal developed a mechanical calculator to help him with his work. Pascal started to build it in 1632 when he was 19 and three years later he had developed a machine called Pascaline. In this machine, numbers were entered by dialling a series of numbered wheels, which were toothed wheels. Each wheel is printed with the numbers from 0 to 9. When the first wheel made a completed turn from 0 to 9, it automatically caused the second wheel to advance to the next number and so on. It could add and subtract by the movement of wheels. The number of calculating the capacity of Pascaline was 9, 99, 99, and 999. It could not be used for division and multiplication. 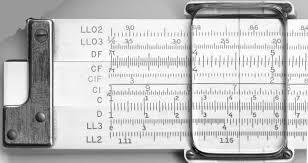 Stepped Reckner is a calculating device developed by Gottrified Wilhem Von Leibnitz in 1671. It was modified to produce higher efficiency and was based on pascal's principle. The stepped Reckoner could multiply, add, subtract and even find square roots. Charles Babbage was born on December 26, 1791 A.D in Britain. He was a professor at Cambridge University. He developedtwo engine. They are difference engine and analytical engine. He is known as father of a computer. Charles Babbage developed this device in 1833. This machine used the binary digit concept. 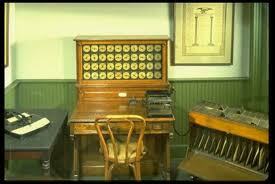 This machine was designed to solve up to 20 decimal places but due to mechanical difficulties it was never completed. This device was also an automatic calculator. Lady Ada suggested using binary numbers instead of decimal number in Analytical Engine. Lady Ada also wrote a program to be used in Analytical Engine. She is also known as the "First Programmer" in the history of computer science because this was the first program ever written. 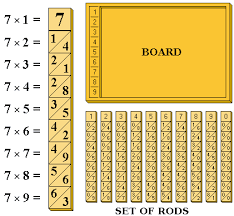 Napier's bones, a clever multiplication tool invented in 1614 by mathematical John Napier of Scotland. 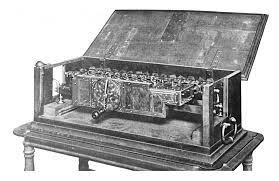 Stepped Reckoner is a calculating device developed by gottrified Wilhem Von Leibnitz in 1671. Charles Babbage is known as the father of computer. Why Charles Babbage is known as father of computer? what are the features of anylitical engine ? Any Questions on 'Mechanical Calculating Devices '?